We deliver your desired glass door as a swing door. 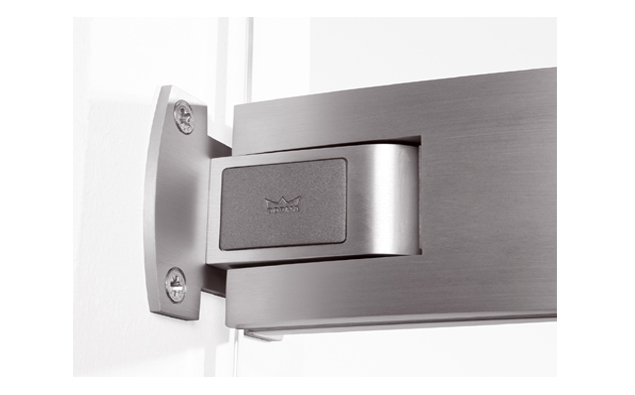 Equipped with special technology, our swing doors are adjustable and can offer many advantages. Swing doors come in a variety of designs and they can be opened inwards and outwards without a stopping point (as normal hinged doors have). Internal swing glass doors, popular in industrial interiors, are now finding unprecedented popularity in residential interiors. 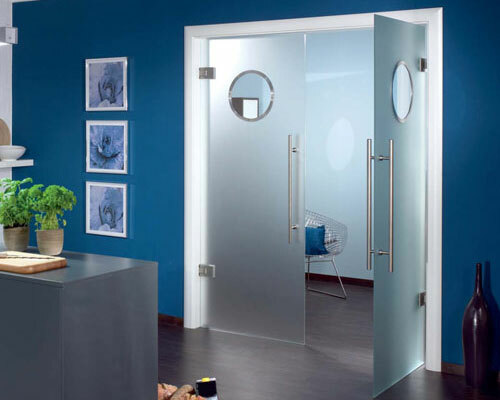 Swing glass doors create modern living with all the refinements. A swing glass door is made from toughened safety glass in standard thickness of 8mm and made-to-measure to your requirements. It is manufactured as a finish product in ESG or VSG glass with a wide variety of designs - suitable for on-the-wall, on a wooden frame or on fixed panel glass installation. The swing glass door has the cutaways for fitting of hinges and handles - professionally done in the German factory. Due to the high technical processes used to manufacture glass doors, the engineers from Grauthoff Group in the Licht und Harmonie brand, made possible the construction of bespoke swing doors - with a maximum width of 1000mm and up to 65kg per leaf. 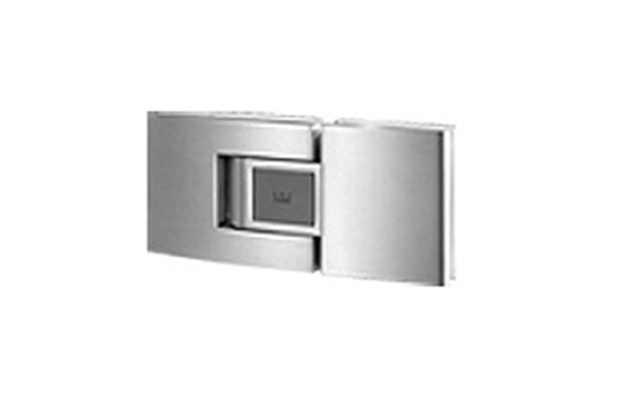 For straight on-the-wall installation, the wall thickness must have minimum depth of 130mm and for on-the-frame installation, a minimum of 100mm depth. 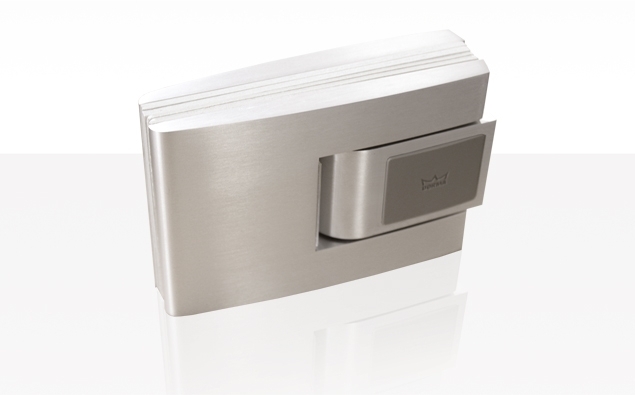 The swing door is provided with 2 floor stoppers to avoid over-swing of the doors. 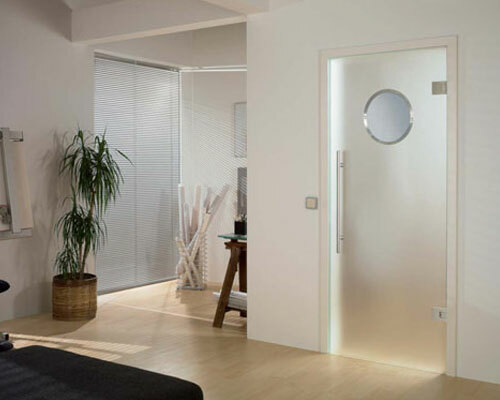 The swing glass doors can be provided with/without frame and architrave. For frame and architrave with rubber seal please click here.